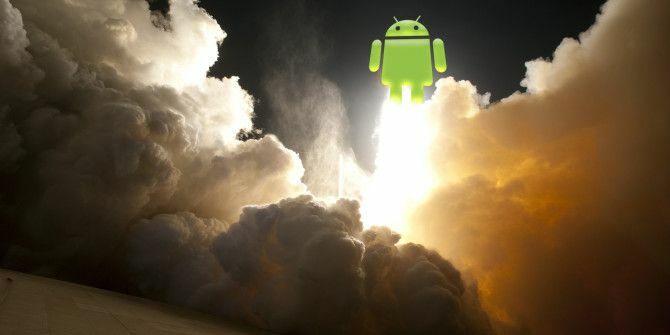 News flash: People want to launch their favorite apps quickly. Shocking, I know. As you may imagine, the need to quickly launch frequent apps is not a new one, and where there is a need, developer creativity often shines. It’s time to revisit this popular topic and see what’s new in quick-launch land. 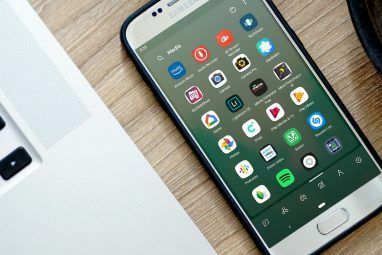 Before we dive into some current alternatives, it’s important to note that there are some old and established quick-launch apps in the market. 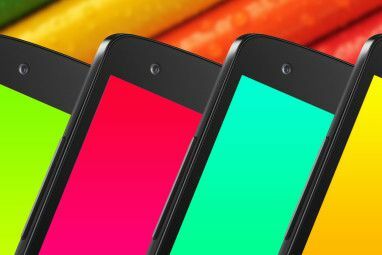 My personal favorite for years has been SwipePad SwipePad - A Stylish Quick-Launch Utility For Your Android Phone SwipePad - A Stylish Quick-Launch Utility For Your Android Phone SwipePad, in its simplest form, is a quick-launch pad (for Android 2.1 and above). It constantly runs in the background (and takes up a line in your notification area). When you touch one of the... Read More , a wonderful launchpad that appears as you swipe in from the edge of your screen. If you prefer drawing on your screen, there is also the excellent Google Gesture Search Google Gesture Search: Better Than Your Launcher [Android] Google Gesture Search: Better Than Your Launcher [Android] Look at your phone. Now look at me. Now look at your phone. Now me. Okay, how many apps do you have installed on your droid? 50? 100? I bet you don’t even know! To... Read More — another mainstay on all of my phones. Last but certainly not least is AppDialer Pro, a lightning-fast T9 launcher AppDialer Pro is a Lightning Fast T9 App Launcher AppDialer Pro is a Lightning Fast T9 App Launcher On Android, there are generally two ways to launch an app. AppDialer Pro offers a third, much faster way. Read More shown in the screenshot above. Now let’s look at the new kids on the block! Snype isn’t about sliding in from anywhere; it’s just a list. Because it doesn’t try to do anything graphically fancy, it is blazing fast. You can use it for both apps and contacts, though I find it more useful for just apps. You can scroll the list, but if you know what you’re looking for, tapping the letters along its edge is an incredibly quick way to get there. There’s also a search box you can type into, with results showing in real-time. There are no banners or other annoyances, and it’s a lightweight app. Snype just works. Type To Launch is somewhat similar to aforementioned AppDialer Pro AppDialer Pro is a Lightning Fast T9 App Launcher AppDialer Pro is a Lightning Fast T9 App Launcher On Android, there are generally two ways to launch an app. AppDialer Pro offers a third, much faster way. Read More , only without the T9. It looks like a keyboard; type a few letters, and you get a list of corresponding apps. Type To Launch is interesting because it doesn’t use your device’s built-in default keyboard. This means it loads faster: the “real” keyboard always takes a moment to appear, even on a powerful Android device. Type To Launch doesn’t make you start from the beginning of an app’s name. You can type “rds” and get Angry Birds as your first result. Unlike AppDialer Pro, it doesn’t keep track of previously launched apps. It’s exceedingly simple, and its primary advantage is offering a full keyboard rather than a numpad. Slide Launcher is the last launcher in this roundup that doesn’t remain resident in your phone’s memory. Just like Snype and Type To Launch, you only run Slide Launcher when you want to use it. It is very different visually, though. 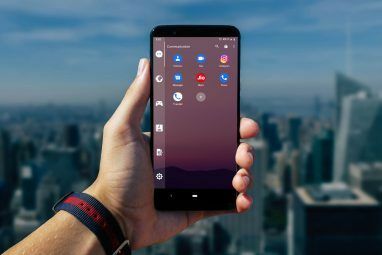 Rather than let you quickly search through all of your installed apps or contacts, Slide Launcher is about your favorites. You set up a big pad with your favorite icons, and Slide Launcher lets you access them with a single tap. You can think of it like another home screen (only there are no widgets). Slide Launcher is meant to latch onto your home button’s “swipe up” gesture, which most devices use for launching Google Now. If you’re a frequent Google Now user, you can choose to start Slide Launcher differently and it’ll still work just fine — or you can create a Google Now button within Slide Launcher. It loads extremely quickly, though setting up your shortcuts will take some work. Our last two entries are apps that constantly run in the background. We’ve mentioned Glovebox in the past, and it remains one of the most powerful and customizable sidebar apps available for Android today. Swipe in from the side of your screen, and a vertical sidebar opens, featuring your favorite apps. You can also swipe in from the side and keep moving your finger to launch an app, without having to lift it off the screen. With over 100,000 installs, Glovebox is one of the most mature and supported sidebar apps on Google Play. You get folders, icon themes, bar themes, and more. If Glovebox isn’t for you but you’re looking for a sidebar, Ray Sidebar is a solid alternative. It features a live-edit mode for rearranging the contents of your sidebar. Unlike Glovebox, it doesn’t offer an always-on-top visual cue showing that it’s ready for activation. Changing the icon theme requires purchasing Ray’s Pro version. The quick-launcher market is large, diverse, and mature. No doubt, many of you may be using some utility to quickly get to the apps you care about. So, do share: Which quick-launch tool do you use? Swipe from menu to right > type > launch! I'm using Appsi as well! It's great! Wave launcher is my go to for my most used apps, and I also use Apps. Many zones on my phone for quick access. I can get to just about anything while my friends are fumbling through different screens. Swipepad works good for me. I haven't used a quick-launch app in a while. I used to use SwipePad, but found that I kept forgetting about it in the background. I've also used Swapps! which I found to be useful, but those were both on my old 3VO. My Nexus 5 is much faster and better at switching (imagine that) so I've gotten along without one for a while. I just installed LucidLauncher I saw it featured on XDA - it's an interesting 3-in-1 launcher: Launcher, Apps Drawer to the left and Browser to the right and the Launcher in sidebar format to which you can add as many apps. It's all free. I love Lucid! Actually reviewed it on MakeUseOf - //www.makeuseof.com/tag/lucid-launcher-tiny-launcher-big-innovations/ - it really is a nice launcher. I have the ViperXL custom JellyBean Rom on my phone, and with that i have both a sidebar which I can swipe in from one side of the screen and VenomPie (based off LMT) which I can access on the other side of the home screen. Between the two of them, I can launch just about every app I use on a regular basis rather quickly. It's a setup that definitely works well for me. That does sound convenient! Thanks for sharing, Eric.